The Supercomputing Division, Information Technology Center, The University of Tokyo was originally established as the Supercomputing Center of the University of Tokyo in 1965, making it the oldest academic supercomputer center in Japan. The Information Technology Center (ITC) was organized in 1999, and the Supercomputing Center became the Supercomputing Division (SCD) of the ITC, joining three other divisions at that time. 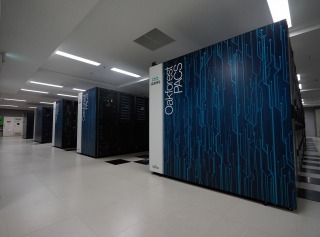 ITC is also a core organization of the "Joint Usage/Research Center for Interdisciplinary Large-Scale Information Infrastructures" project, and a part of HPCI (the High-Performance Computing Infrastructure) operated by the Japanese Government. 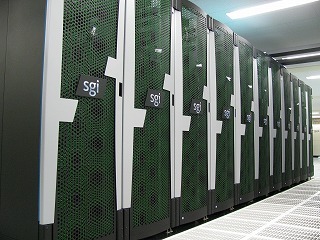 The three main missions of SCD/ITC are (i) providing services for supercomputer operations and supporting supercomputer users, (ii) doing research, and (iii) providing education and training. Currently, SCD/ITC consists of more than 10 faculty members. SCD/ITC is now operating four supercomputer systems, a Fujitsu PRIMERGY CX1640 M1 (Oakforest-PACS) at 25.004 PFLOPS, a SGI Rackable C2112-4GP3 System(Reedbush-U) at 508.03 TFlops, a SGI Rackable C1102-GP8 System(Reedbush-H) at 1418.2 TFlops, and a SGI Rackable C1102-GP8 System(Reedbush-L) at 1435.3 TFlops. Copyright © 2017 Supercomputing Division, Information Technology Center The University of Tokyo. All Rights Reserved.